Originally, the town of Theresienstadt (as it is called in German) was built by Emperor Joseph II some 50 kilometers to the north-northwest of Prague as a garriso for the defense of the Hapsburg Empire against the Prussians. The name honored his mother, the Empress Maria Theresa. The town consisted of two fortresses separated by the Ohře river. 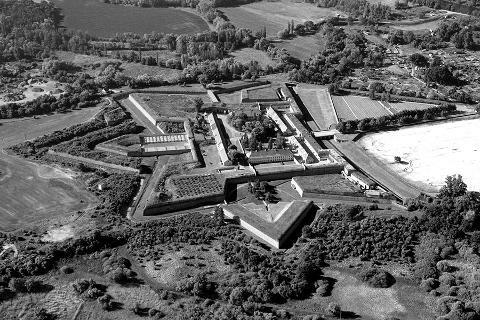 The smaller fortress was always used as a prison and the bigger one was converted into a small civilian town in 1882. Gavrilo Princip, whose assassination of the Archduke Franz Ferdinand of Austria and his wife triggered the WWI, was imprisoned and died there. 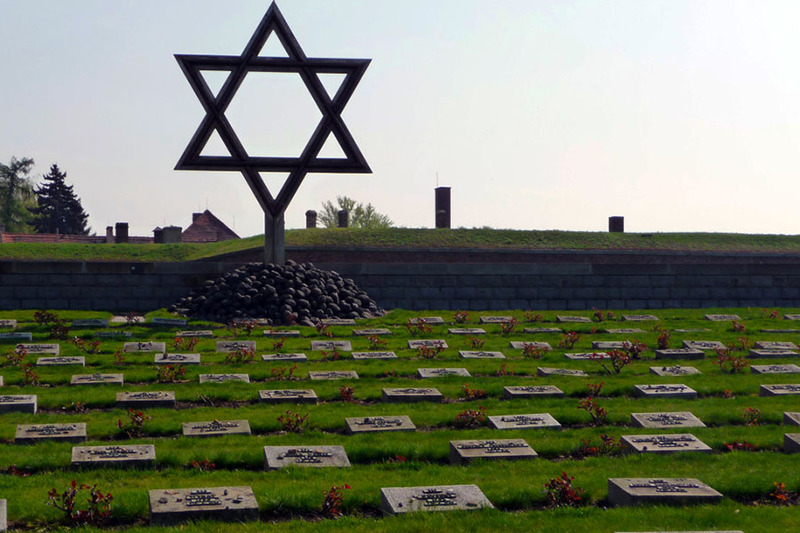 In spite of the extremely tough living situation, Terezín has long been viewed as a place of spirit and endurance. 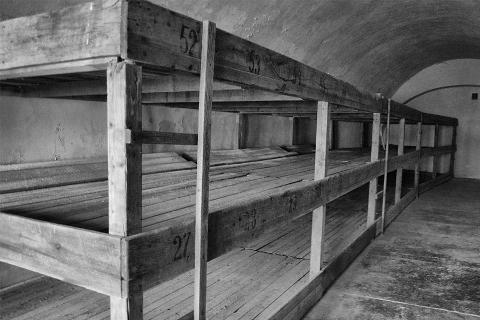 You will learn how the camp’s Jewish inmates managed to organize basic health care and social welfare, conducting cultural and secret educational activities and even holding secret religious services. A great number of professional and amateur artists passed through Terezín and they tried to stay active even after arrival. 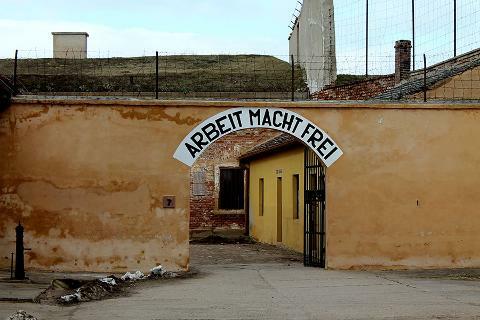 The Nazis banned any cultural activities at first but later on – in compliance with the decision to use Terezín for propaganda – tolerated them. This led to a camp life of grim paradoxes. Inmates famously improvised theatrical and musical performances, painted and drew copiously, wrote and even published magazines—all in the face of death and despair. One whole building of the memorial is dedicated to the art produced in the ghetto. Your guide will help you understand the various intellectuals, artists and personalities who created such work in such a context. Some 4,500 drawings by the ghetto children (arguably the largest children’s drawings collection in the world) have been preserved and they have a very special place in Terezín’s artistic context. They were hidden in two suitcases by Friedl Dicker-Brandeis before her departure to Auschwitz where she was murdered. Dicker-Brandeis had studied at the Weimer Bauhaus and later worked as an artist and textile designer. In the ghetto she organized drawing classes for kids. Out of some 660 authors of the drawings, 550 were murdered in the Shoah. We’ve mentioned that Terezín was used for propaganda purposes. In June 1944, officials of the Red Cross were invited to inspect the ghetto. The Nazis opened cafés, schools and shops and even had a merry-go-round brought in for the occasion. The inspectors failed to see the swindle and praised ghetto’s living conditions. Spurred by this success, the Nazis decided to make a propaganda film for Western audiences. Although much of the film was destroyed, some footage has been preserved for our viewing at the memorial. 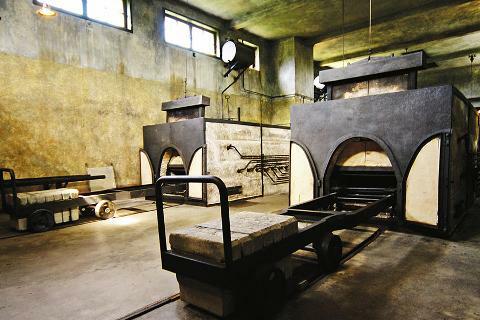 With careful attention to detail and historical context and sensitivity to the emotional experience of visitors, your guide will help you to move through the Small Fortress, Ghetto Museum, Magdeburg Barracks, Crematorium, Columbarium, Ceremonial Halls and Central Morgue, and a replica of an attic room. The exposition is a fairly large one so you will need five hours (including the 1 hour journey from Prague and back).